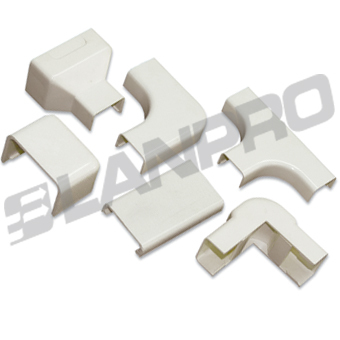 The LanPro Surface Raceway System is a non-metallic, 2 parts, capable surface raceway that can be used to handle, route, protect, and conceal data, voice, video, optical fiber and power cabling with a rating of up to 600 Vac. Made from high quality impact resistant material that is sure to last a long time without peeling or corroding, these raceways are a must have investment. Not to be used outdoor. 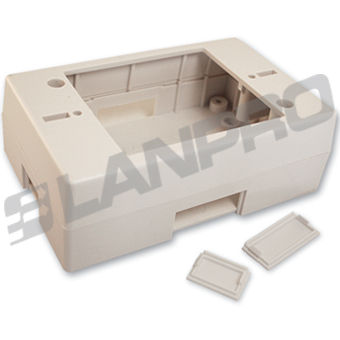 Surface mounted faceplate boxes are the answer given by LanPro to the need for installing network or phone access jacks when there are no previously embedded boxes in the floors or walls. They are used jointly with raceways in order to run the cables and terminate them in an orderly and presentable way on walls or other surfaces. 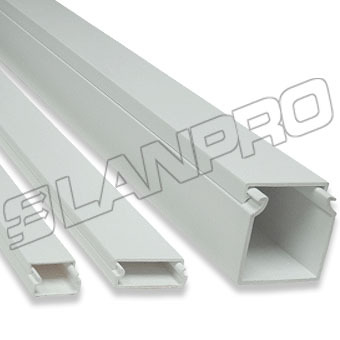 LanPro Raceways Accesories complements the line of raceways; a variety of accesories add to the offer, fittings, junction boxes, ground wire guards and spiral tubing. All the parts needed to custom design a wire management system.